Freddie Mac can’t seem to figure out how to resolve complaints – and serious ones at that – from consumers. Maybe it’s time for CFPB to take over. Freddie Mac has dropped the ball in the past, as has its government counterpart, Fannie Mae, but it seems as though it’s not getting much right at all these days. According to more than one watchdog group and different financial regulators, it’s failing on all levels and hasn’t even been able to properly respond to queries from consumers. It’s not in compliance with reporting requirements for escalating cases of complaints from consumers and worse, most of its servicers have dropped the ball as well. Since December, a full 98% of its approved servicers have failed to report any escalated cases, even though there are documented cases of their existence. Not only that, but eight of its biggest servicers encompass about 70% of its total loans and of those eight, half of them reported nothing during the height of the crisis between October 2011 and November 2012, even though regulators know there were more than 20,000 deemed escalated. Only the most serious complaints are given the label “escalated” and often, they’re the ones that allege servicing fraud or regulatory violations. Think there’s not much to this? Consider the fact that Freddie Mac, by the end of 2012, owned or guaranteed more than 10.6 million residential mortgages in the U.S. Further, the government backed agency pays mortgage servicers to collect payments from borrowers and handle complaints. 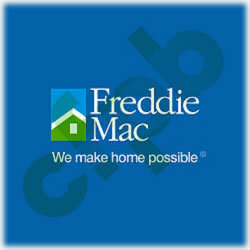 The Inspector General, as part of its report, made recommendations that include requiring Freddie Mac servicers to get current and then stay current with timely reporting, resolving and categorizing its escalated cases. It also wants Freddie Mac to revamp its entire oversight of those services via third party testing. It suggests a fine be be lobbied against those who don’t remain in compliance and it says FFHA should improve its oversight of Freddie Mac with examination guidance for testing new directives. It says servicers are already required to report the escalated cases and resolve them within thirty days; clearly, that’s not happened. Last month, The Consumer Financial Protection Bureau (CFPB) issued a notice that advised all mortgage companies about their legal obligations, specifically the ones that protect consumers during loan transfers between mortgage servicers. It stressed the importance of not losing paperwork, not losing track on each homeowner’s loss mitigation plans and not getting in the way of efforts that would allow a consumer to save his home from foreclosure. It says its concerns are growing because of recent servicing transfers. This guidance directs all mortgage servicers, both banks and non banks, to follow the laws protecting borrowers from the risks of such transfers, and makes clear that we will be monitoring them for compliance. And then it went a step further, but more on that further down. So is it time for CFPB to come down hard on Freddie Mac? There are a lot of dynamics at play, and let’s face it, there is no shortage of folks who are ready to dissolve both Freddie Mac and Fannie Mae. In fact, the federal regulator who oversees the two mortgage financing giants has already put forward a plan to combine them, overhaul them and ultimately shrink the government’s role in the collective mortgage sector. The two agencies were created by Congress to buy loans from mortgage lenders and package them as securities for sale to investors. Because they buy the loans from the various banks and other lenders, the opportunity to provide a fresh flow of cash to the mortgage industry is created. Fannie and Freddie eventually became public companies, owned by shareholders. This suggests the CFPB could become the watchdog group that the agencies have been lacking. And you should know, it’s a sentiment that’s likely to pick up speed. Remember, CFPB is the bureau created when President Obama signed into law the 2009 CARD Act. It’s also the bureau that put into place fines and forced refunds from three of the world’s biggest credit card names, including Capital One and American Express. Those refunds were made directly to consumers and certainly in a much more timely fashion than anything any other government body has ever been able to accomplish. And we’re talking millions of dollars. Starting in 2008, Fannie Mae and Freddie Mac have tightened their lending standards. For example, the average FICO score of a 2007 mortgage purchased by Freddie Mac was 703, in 2008 it was 722, and in 2012 it is 756.14 Fannie Mae shows a similar increase in FICO scores. According to Experian’s National Score Index (FICO doesn’t provide these numbers, though most agree they’re nearly mirror images), the average American credit score is 687 – 50% of us have higher credit scores and 50% of us have lower scores. That means less than half of us would even qualify for a mortgage backed by the two government agencies. Provides perspective, yes? If your credit scores are lower than 756, which represents significantly fewer than half of all American consumers (remember the average is only 687), your tax dollars were good enough to bail the agencies out, but your credit score isn’t good enough to qualify for a loan supported by those tax dollars. Given that millions of American consumers have been affected first hand by these servicing transfers, along with the consistent number of those who continue to struggle to remain current on not only their mortgages, but student loans, credit cards and other financial obligations, CFPB announced last week that it will indeed begin focusing, from a supervision role, on the mortgage servicers. Should they fail to keep their legal obligations, CFPB stands ready to work its own special kind of magic. Specifically, it announced it would be taking appropriate actions to ensure violations are addressed and corrective measures are taken. It plans on closely examining a number of dynamics, including how well a servicer is positioned for these transfers of rights and responsibilities. For instance, it wants to know the service is working to keep unnecessary disruptions to consumers at a minimum. Will the servicer be able to respond to questions from consumers about the transfers? Will employees be able to logically, efficiently and realistically answer questions and handle complaints? The CFPB examiners will be looking at the paperwork to be sure the amounts are accurate, the statuses of loss mitigation applications are being handled and if they’ve kept the consumers current on changes in their files. They also want to know how the servicers handle the files via the transfers. Remember, there is a very high percentage of servicers that aren’t current with their reporting obligations. CFPB wants to be sure paperwork and the required documentation is present that will help consumers keep their homes and if not, why is is not included? It’s going to take some time but it’s an important process that must be resolved so that all homeowners and American consumers as a whole are better positioned to pick up the financial pieces of their lives. New rules are expected to be in place by January, 2014.